An update from the other side of the world for fans of our globetrotting salmon, Samantha: you may remember that back in August, Samantha embarked on a mission to be the first Mersey salmon to complete the Mongol Rally. Along with her co-drivers, Graeme and Mark, a.k.a. Green Team 2CV, Samantha successfully made it to Ulan Bator. 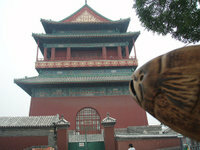 Once there, she met backpackers Mal and Lu, who offered her the chance to travel on with them to the Orient. 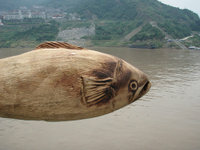 They've now toured China, and as you can see from the pictures, Samantha has paid an emotional visit to the River Yangtze, as well as taking in some of the sights. 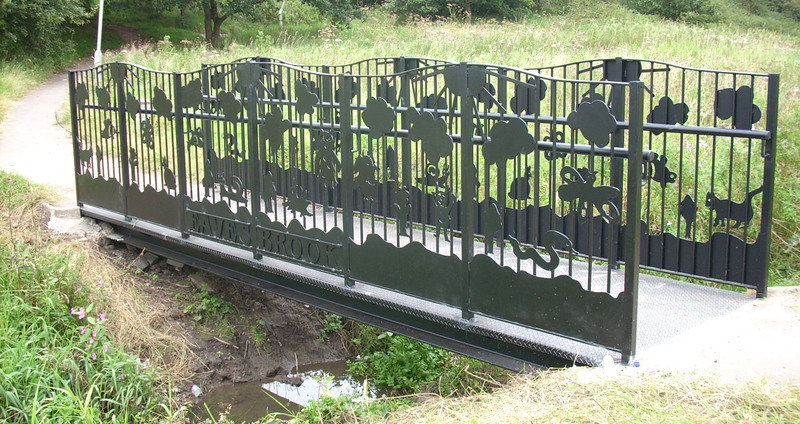 When Preston school children walk back to school this week some will cross over a bridge that they helped to design. The recent spell of good weather has enabled the contractors to install the new bridge over Eaves Brook in Grange Valley. The metal bridge took just two days to install and is a splendid addition to this wildlife area.